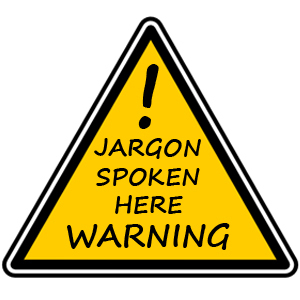 Everyone loves a bit of jargon. Below is a list of translations from caravan jargon into English. If something is not on the list that you think I should add please let me know in the comments section below. A frame – The triangular shaped section of a caravan between to which the hitch head is attached. AL-KO ATC – An electronic stability device that can be fitted to caravans to help prevent snaking (Assisted Trailer Control). Awning – A tent like structure that fits to the side of a caravan so to extend the living space of the caravan. Awning rail – The rail on the side of the caravan into which the awning slides. Awning skirt – A long piece of plastic that is used as a draft extractor between the base of the caravan and the awning. Bed boxes – Refers to the storage space under the seats of a caravan. Berth – This refers to the amount of people that a caravan can sleep. Body length – The inside length of the caravan at bed box height, also referred to as internal length. Breakaway cable – A thin steel wire normally coated in a coloured plastic that attaches to the caravan and then to the car, in the event of the caravan becoming detached from a car whilst towing the breakaway cable will apply the caravans brakes. This piece of equipment is a legal requirement. Caravan mover – A remotely controlled device used to manoeuvre caravans while not attached to a vehicle, also know as a motor mover. Cassette toilet – A toilet built into a caravan that has a separate cassette in which the “deposits” are collected. Most modern caravans are fitted with cassette toilets. CRIS number – The unique 17 digit reference number that belongs to a caravan, you will find this etched on the corner of most of the windows, also referred to as; serial number, VIN number and chassis number. Control panel – A panel of switches that control various things within a caravan such as; mains power, 12V power and water pump. Dinette – A combination of seats that allow people to dine in the caravan, these can normally be converted into beds. Fresh water carrier – A container positioned outside the caravan from which fresh water is drawn to supply a caravan’s taps and shower. Front locker – Refers to the locker outside at the very front. Normally used to store gas bottles among other things. Gas BBQ point – An externally mounted point of a caravan into which you can connect a gas BBQ that will run off of the caravan’s gas supply. Grab handles – Located on all four corners of a caravan and used to manually manoeuvre it. Heki rooflight – A brand of caravan rooflight that is fitted into many modern caravans. Hitch head – The device on the front of a caravan that attaches to the towball of a car, also referred to as hitch head coupling. Hitch lock – A security device that is used to lock onto the hitch head of a caravan to help prevent theft. Hookup – This refers to being “hooked up” to the mains electricity supply. Jockey wheel – The small pivoting wheel located through the A frame of a caravan. Laden weight – The maximum loaded weight of a caravan, also referred to as maximum technical permissible laden mass (MTPLM). Leisure battery – 12V supply battery that generally resides in it’s own battery box locker. NCC – An organisation that represents the supply chain in the caravan industry and governs it’s policies. Noseweight (caravan) – The weight of the caravan at the nose. Noseweight (car) – The maximum recommended noseweight the tow car can cope with. Outfit – The combination of a caravan and tow car. Payload – The weight allowance the user has to work with when packing a caravan. The weight difference between the unloaded and loaded weight of a caravan. Pitch – The space in which you park your caravan on a site. Porch awning – A tent like structure that attaches to the side of a caravan. Unlike a standard awning a porch awning covers only part of the caravan. Seasonal pitch – A pitch on a caravan site that is reserved for one caravan for the caravanning season. Shipping length – The maximum external length of the caravan, also referred to as external length. Stabiliser – A device fitted either to the hitch head of a caravan or to the A frame cover that helps to minimise snaking while towing. Stabiliser legs – Each caravan is fitted with 4 stabiliser legs, one on each corner, they wind down to steady the caravan when pitched up, also referred to as corner steadies. Unladen weight – The empty weight of a caravan, also referred to as; kerb side weight or mass in running order (MRO). Waste water carrier – A container positioned outside of a caravan that stores all waste water (or grey water as it’s also known). Water ingress – Refers to water infiltrating the body of a caravan, a damp problem. Wet locker – Storage space on a caravan that is designed to accommodate wet items, this area is isolated from the rest of the caravan. Wheel lock – A security device that is used to lock onto the wheel of a caravan to help prevent theft. Window stays – Catches or telescopic poles that are used to hold a caravan window open. If you have anything to add to the list let me know in the comments below! exterior/external/extended length please, incluides the A frame, or not? Whats the name of the fibreglass/plastic cover which goes on the A frame please?